The long-term impact of hormone therapy for breast cancer on risk of osteoporosis and the extent to which bone screening recommendations are implemented in daily practice remain unknown. We found that the aromatase inhibitor-induced risk of osteoporosis did not continue in the off-treatment follow-up. Adherence to screening recommendations was suboptimal. A case-cohort study was undertaken to better understand the impact of hormone therapy on breast cancer patients’ risk of osteoporosis, and to estimate the extent to which current bone mineral density screening recommendations are implemented in real-life daily practice. This study is based on 1692 female breast cancer survivors recruited from “Leumit” healthcare fund, who were diagnosed with primary nonmetastatic invasive breast cancer between 2002 and 2012. 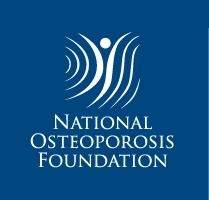 A 20% random subcohort was sampled at baseline, and all osteoporosis cases were identified. Adjusted hazard ratios (HR) with 95% confidence intervals (CI) were estimated by weighted Cox proportional hazards models. Of 1692 breast cancer survivors, 312 developed osteoporosis during a median follow-up of 5 years. 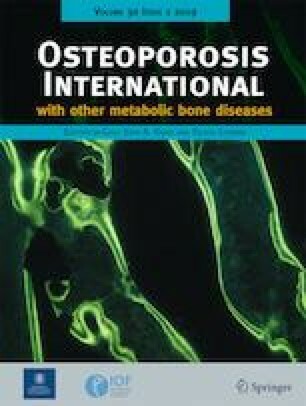 The crude cumulative incidence of osteoporosis accounting for death as a competing risk was 25.7% (95% CI, 21.9–29.5%). In multivariable analyses, osteoporosis was positively associated with the aromatase inhibitor (AI) sequential treatment after tamoxifen (HR, 3.14; 95% CI, 1.44–6.88; P = .004) but was more pronounced with AI use as upfront monotherapy (HR, 5.53; 95% CI, 1.46–20.88; P = .012). This effect did not continue in the off-treatment follow-up. In subgroup analysis by menopausal status, tamoxifen did not seem to confer a protective effect on bone health in postmenopausal patients. Adherence to screening recommendations in AI-treated postmenopausal women was suboptimal, particularly at baseline and after 48 months of continuous AI use. The natural, age-related reduction in bone density is exacerbated by breast cancer active AI treatment. Future research should focus on investigating screening adherence-related barriers/facilitators and effective strategies to bring practice in line with agreed standards. The online version of this article ( https://doi.org/10.1007/s00198-018-4758-4) contains supplementary material, which is available to authorized users. We gratefully acknowledge all participating breast cancer survivors, Dr. Natan Kahan, and the Ph.D. advisory committee for their invaluable contribution. Funding of this study was in part provided by a grant from the Council for Higher Education (grant no. 11658745) in collaboration with the Graduate Studies Authority at the University of Haifa (grant no. 11658760). The sponsors have no role in the collection, analysis, and interpretation of data. The study protocol was duly approved by the Institutional Review Boards of LHS and the University of Haifa. The results, conclusions, view and opinions contained herein are those of the authors and not to be construed as the official policy of Israel’s Ministry of Health, or of Leumit Health Organization.